At long last one of the longest-missing 3rd generation Pokemon has arrived in Pokemon Go – Spinda. Here’s how to get yourself one. Spinda has been missing from Pokemon Go for a while now, and with gen 3’s introduction now actually a little while ago and gen 4 of Pokemon seemingly on the horizon, it seemed all the more strange that Pokemon Go didn’t have a way for trainers to catch a Spinda. Spinda has obviously been saved back until now because it’s fairly unique and different, however. 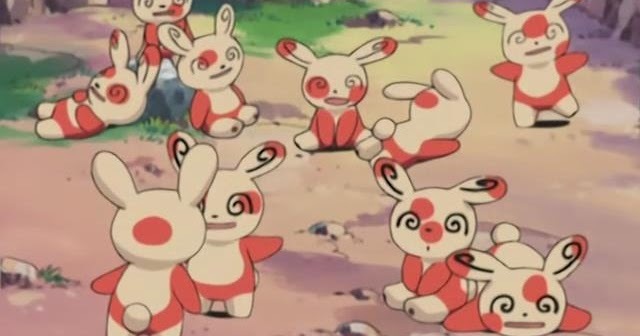 When we say multiple forms we’re not just talking a couple of different types of Spinda as pictured above in a scene from the Pokemon anime. In fact, in the main-line Pokemon games on Nintendo systems there’s billions of potential possibilities, with each Spinda basically randomly generated with different body markings and parts that make it unique. 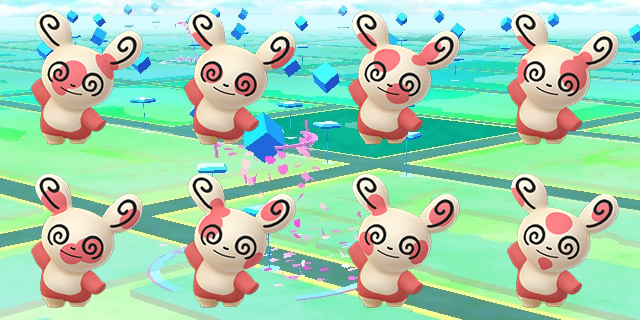 Pokemon Go Spinda won’t be quite so over-the-top, but they’re still going to be unique with multiple forms of the cute little critters available. It’s not surprising to learn that Pokemon Go won’t have all of the different forms of Spinda, then, since packing all that into a simple mobile game would be more than a little nuts. Instead, it appears that there’ll be a handful of Spinda forms instead. Data miners have discovered eight forms of Spinda in the game (plus eight shiny versions of those forms) – a rather huge difference but still more forms than any other Pokemon in the game, giving you the most variety above even the different Eevee Evolutions you can get from a normal type Pokemon. Okay, so you know all about Spinda, the cute and unique rabbit-type Pokemon with its random form gimmick. That’s all good – however, right now you can only catch a Pokemon Go Spinda in one way – not in the wild, or through raids, or through hatching eggs – instead, Spinda comes from a field research mission challenge that’s was first added in August as part of the Raikou field research event – but it’s still active in September, albeit with different requirements. This challenge is actually a common one often found out in the world when exploring, but currently when you complete it the reward will be an encounter with a Spinda. To complete the challenge you’ll just have to do as it asks – land a ‘Great’ rank curveball Pokeball throw. This is easy when you know how: spin the ball before throwing it, then toss it and land it in the circle as the circle begins to close. A ‘great’ throw will be hitting the circle when it’s about half closed. If you land an ‘Excellent’ throw, it’ll count as a ‘great’, since excellent is better than great. A throw ranked ‘Nice’ won’t count towards this task, however. It doesn’t matter if the Pokemon is caught, or if you do it on different Pokemon at different times – it just has to be three consecutive throws without a miss. Once you complete the mission, head to your field research screen by hitting the button that looks like a pair of binoculars in the bottom right of your screen. You’ll now have a chance to ‘cash in’ the mission as complete, and when you do this you’ll immediately be launched into an encounter with a Pokemon Go Spinda as your reward. Keep in mind that field research reward Pokemon don’t flee, so take your time catching it and consider using a Pinap to boost your Candy gains when the creature is caught. You can repeat this as many times as you find the mission – but for now only one form of Spinda is available this way. Stick with us on VG247, though – we’ll update you as soon as the other forms of Spinda become available in-game. The post Pokemon Go Spinda catching: how to get Spinda, the mission-exclusive rare Pokemon appeared first on VG247.